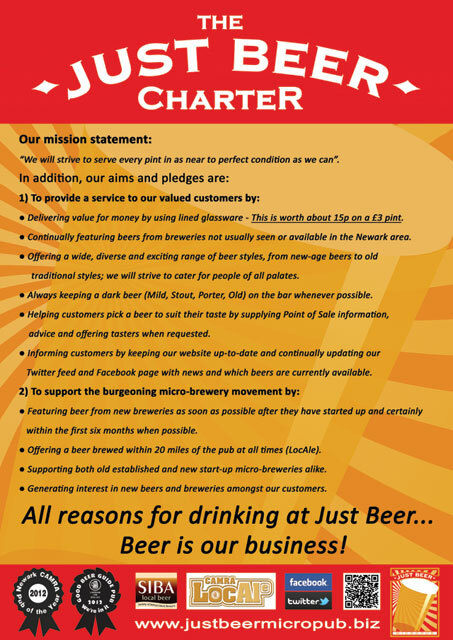 Just Beer Micropub for real ales from the newest microbreweries. bif! (Beer Is Fab!) is our occasional newsletter keeping you up-to-date with all the news, events and happenings from Just Beer Micropub and informs you of all our upcoming real ale offerings and featured microbreweries.